Hazel has been enjoying a treat this weekend. I have gotten her a cow femur. See below a picture of her knowing just what to do with it. I am working away on a Horatio and Archie fic. It should be ready in the next day or two unless they decide to do something unusual. I know, it is huge! It makes me think of dinosaurs. It will take her several days to eat it. You can really see what the claws are for. 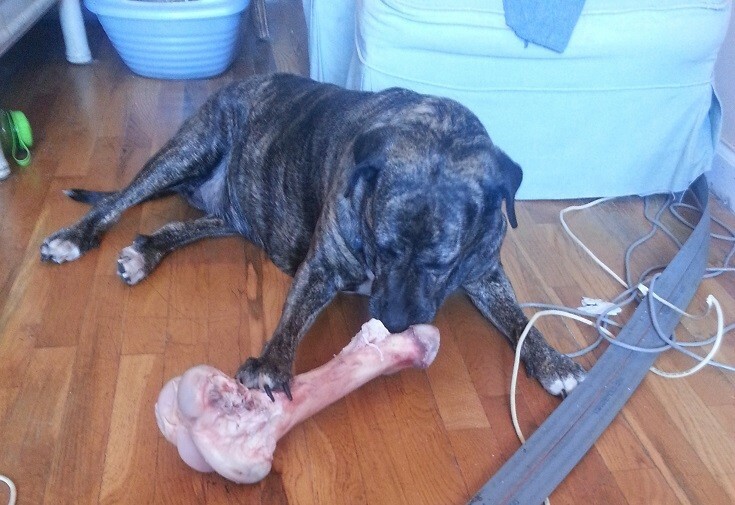 What a brilliant bone for a doggie!